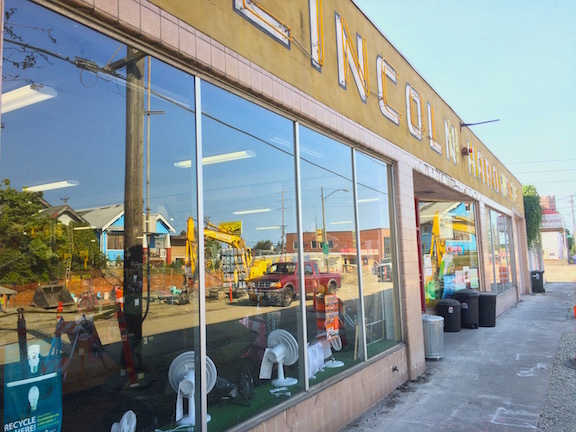 South Tacoma's an expansive place, a walkable stretch of tucked-away shopping gems that also serves as a heart of transportation for the city. Factories and other industrial buildings greet you as you enter South Tacoma, but those soon give way to old-time bars, down-to-earth restaurants, and a wide array of shops and markets. Antique stores, cultural centers, and services for small businesses are some of the lifeblood providing the makeup of South Tacoma. There's a healthy Asian population in South Tacoma, with Koreans accounting for a number of the residents. Asian markets and restaurants provide a world of flavor to the area, while Korean bars and karaoke wake up the nightlife. Bob's Java Jive, the famed coffee pot-shaped dive bar, stands as a testament to South Tacoma's old-fashioned character. It's here, and elsewhere in the neighborhood, that you'll find no-frills pub fare and lively music nights. Down the way, Real Art Tacoma presents concerts for the all-ages crowd, and Stonegate Pizza features music every night of the week for the more mature set. Modest houses and apartments mostly make up the residential side of South Tacoma, with a number of nearby schools ensuring that these homes are largely scooped up by families. 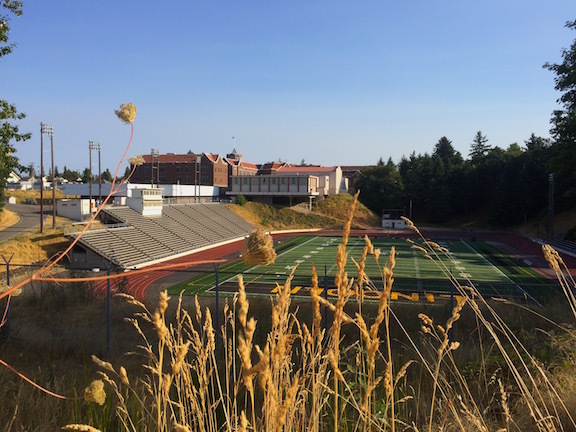 Read more about South Tacoma in our Blog! Lincoln Students Growling Life Skills, Community & Lots of Plants Too! Bob's Java Jive is a dive bar jungle inside of a teapot. It's a great spot to see live music or sing karaoke. 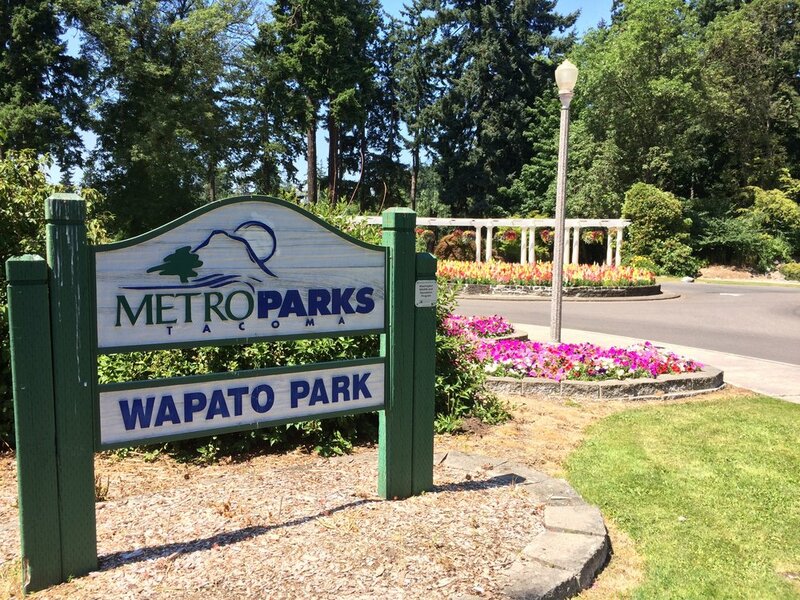 Wapato Park is a beautiful place to spend time with the family. Wapato opened to the public in June 1889. At that time, crowds would ride the railway from Tacoma and Fern Hill to swim, picnic, and stroll the shady walkways. 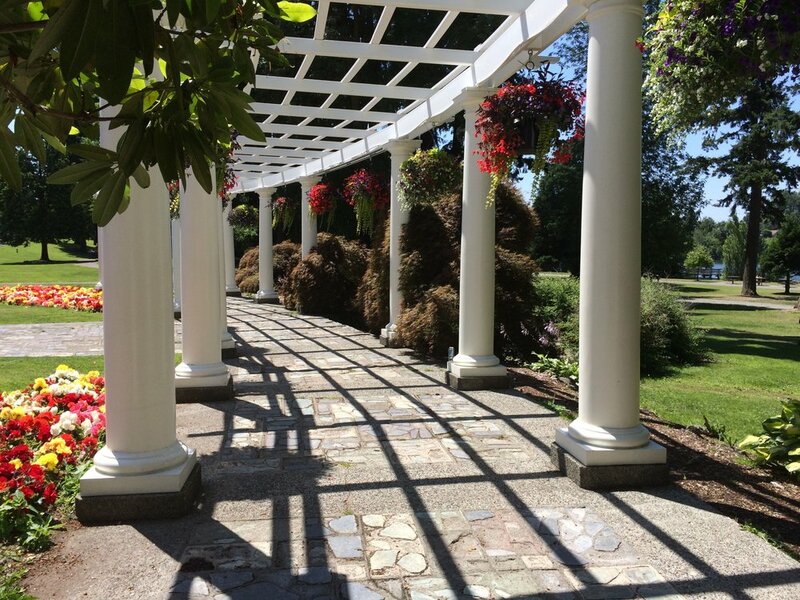 This pergola has graced the entrance to Wapato since 1938. In the spring and summer, find flowering baskets, and large beds of glorious annuals blooming. 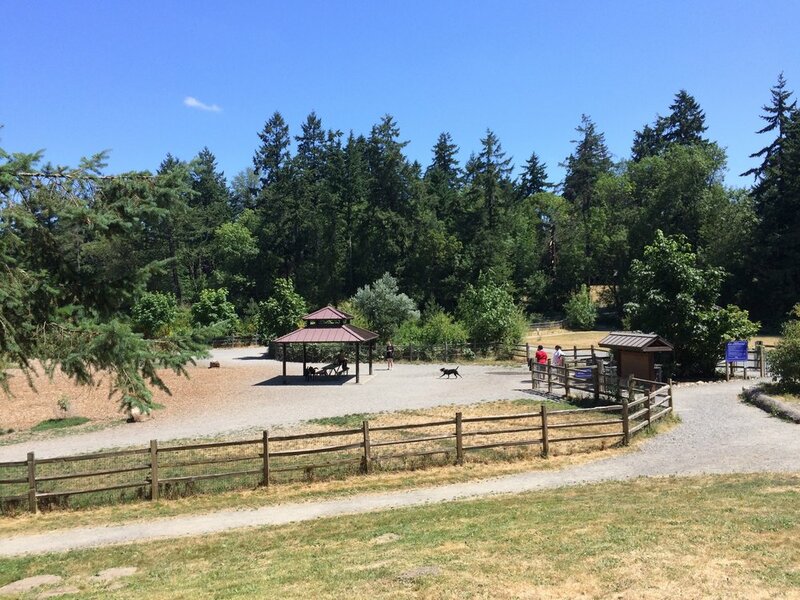 Wapato's Off-Leash Dog Park is almost never empty. Bring your pup for a good old off-leash romp! 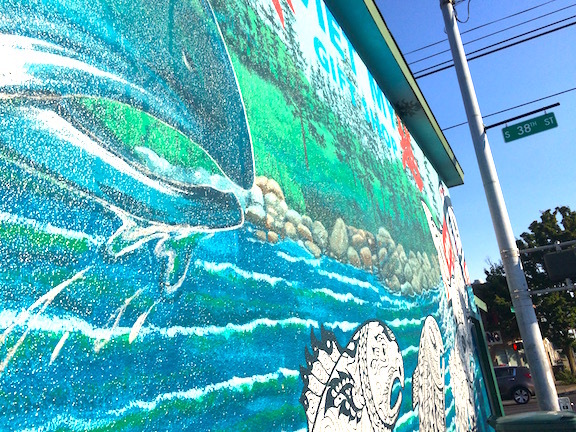 Bob Henry's leaping salmon mural on the corner of S. 38th St and S. Yakima Ave. 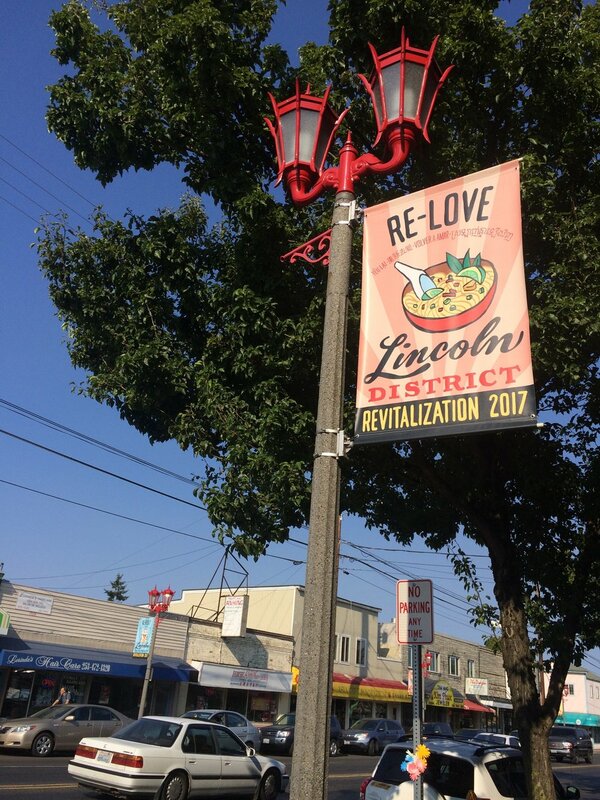 Banners through the district feature themes of the revitalization project of 2017. 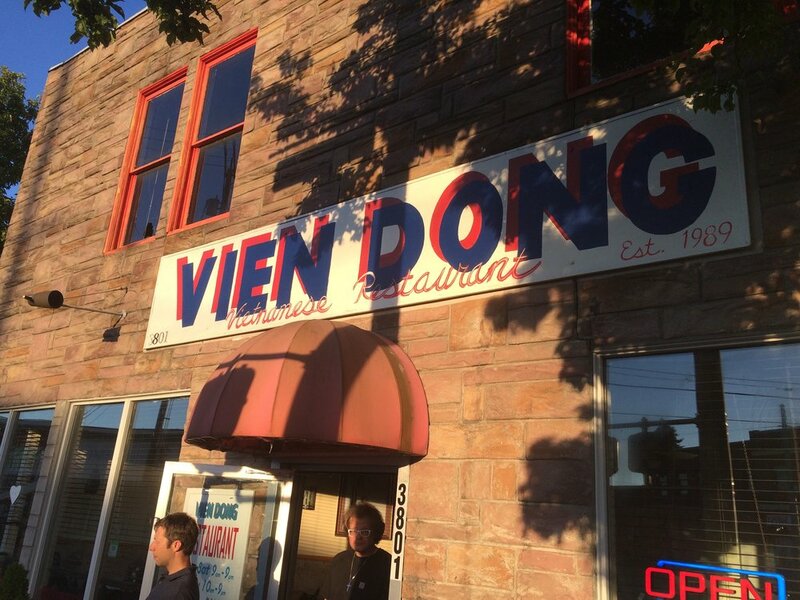 Located in the Lincoln District This family-owned Vietnamese restaurant is a local favorite. Friendly, consistent, and inexpensive! Stop by and shop. They've been in business for over 83 years! We love this place. Old school, locally owned, friendly hardware store. This section is part of the original building (construction began in 1913, renovation in 2007). 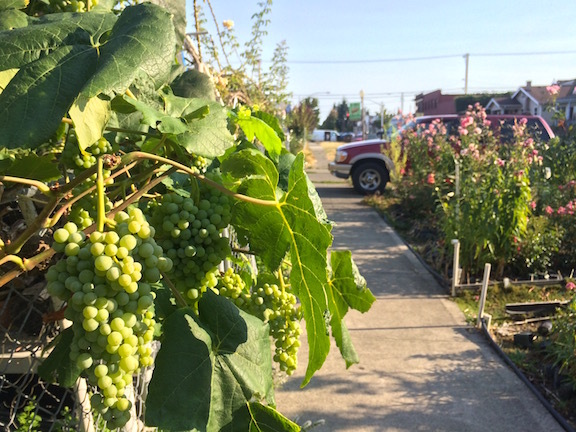 During the summer the ABE's Acres club shares their produce right where it's grown at S. 36th and G.
A glimpse into garden. Don't miss the annual Lincoln Plant Sale in the spring! The bowl first opened in 1940. Go ABES! 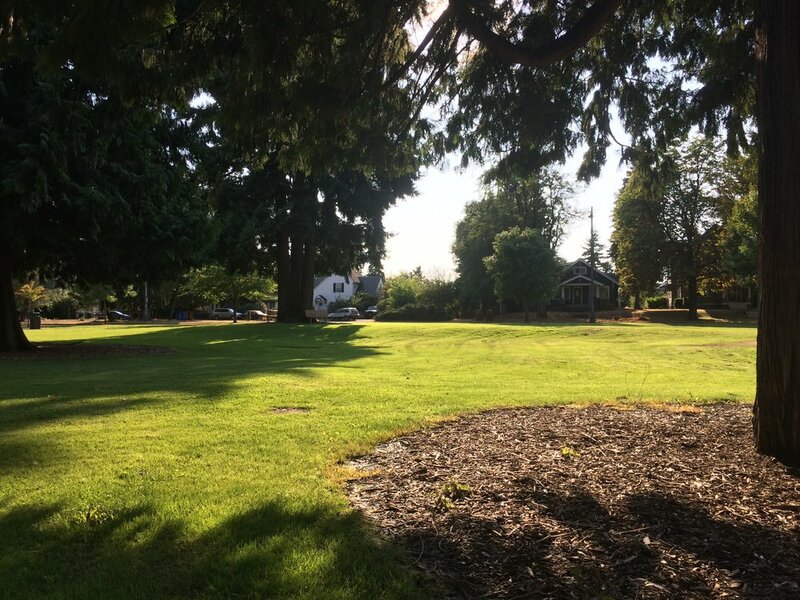 Features include a playground, walking paths, and beautiful mature trees. An overflowing Lincoln District garden. Bright and bold mural in the Fern Hill district. S. 84th Street & S. Park Avenue. Lead artist: Kelda Martensen with team: Dionne Bonner, Brad Pugh. Completed in 2010. 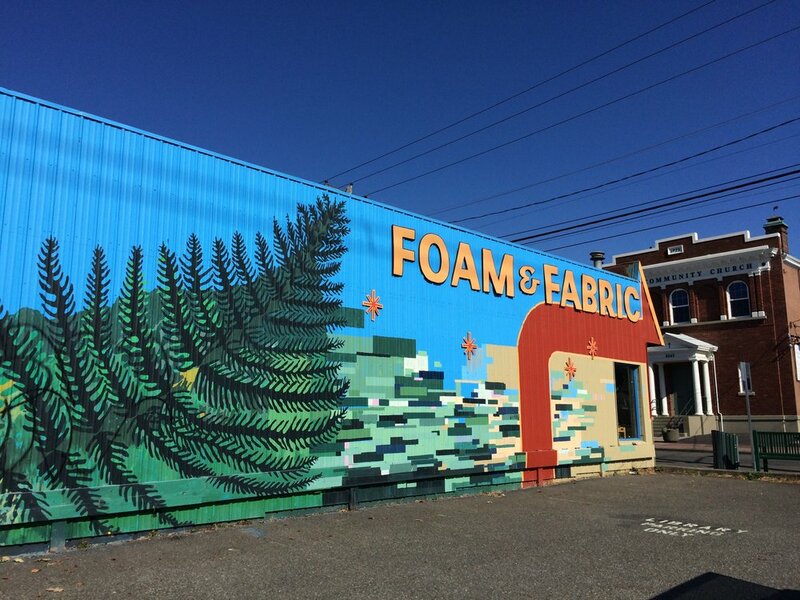 The Fern Hill mural extends across the side of the building housing Foam & Fabric. Another wonderful Fern Hill District mural found on Park Avenue between S. 82nd and 84th. The Fern Hill District is so small, but packed with good storefronts like this classic barber shop.